I joined the firm back in the early 1980s.  I’ve had many opportunities to become involved in new areas of the law, and being able to constantly refresh and extend my skills has meant I’ve had a very fulfilling career while staying with the same firm. I’ve always been grateful for the incredible mentoring and training I received in my first three years as a lawyer in Auckland. This made me aware of the importance and value of endeavouring to provide the same opportunities for those working at Cooney Lees Morgan. I believe these are key factors in the development of good skills and judgement, and play a huge role in helping people enjoy and want to stay in law. I’ve taken a lead role in education in the firm and this is a big focus for me. At Cooney Lees Morgan we support our whole team in pursuing their areas of interest and ongoing education. It’s a big part of our philosophy and a worthwhile investment because these people are the future of the firm.